Click on the image to see the tweet in full. 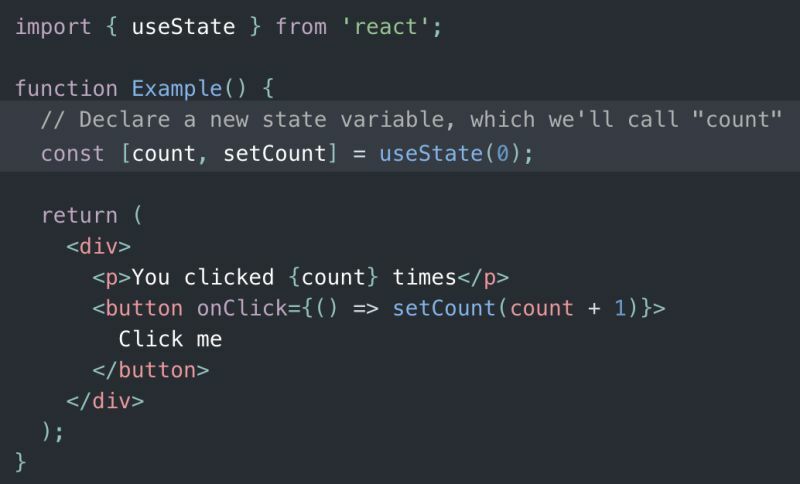 “useState” is the React Hook you would use to manage (some or all) local states for your component. 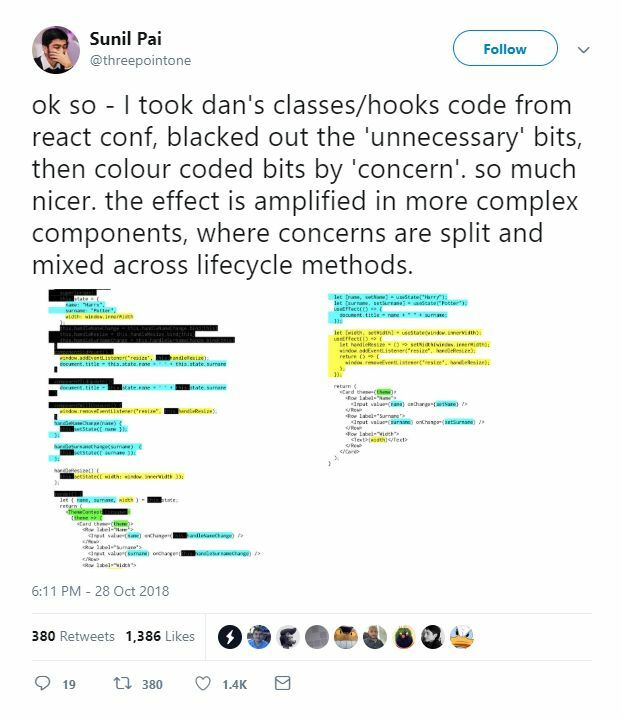 We look forward to introducing Hooks to our colleagues and in our projects. Below, you'll find a number of resources to get into them yourself.